t is designed according to the actual situation of domestic canning plant and the most advanced congeneric technology of filler and capper in Switzerland. It is the new generation combined machine. It is pneumatic control and automatic capping. Frequency conversion timing controls the output. The equal liquid level technology controls the filling. In order to make the appearance more clear and beautiful, it is made of the stainless steel( ≥95%). To enhance vacuum degree, we can equip steam-jet device as the clients’ request. It is equipped long-distance computer control system to sustain the customers completely. 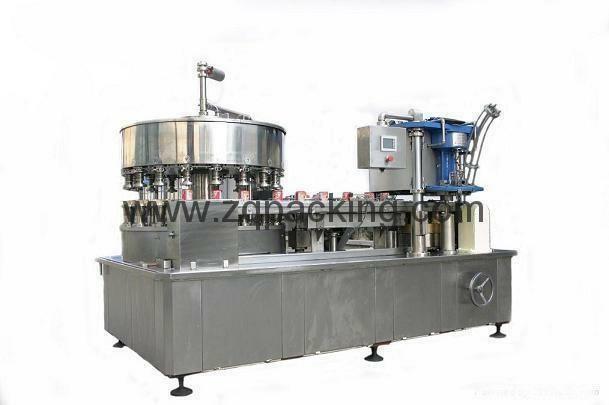 It is the preferred equipment of the canning and drinks enterprise.